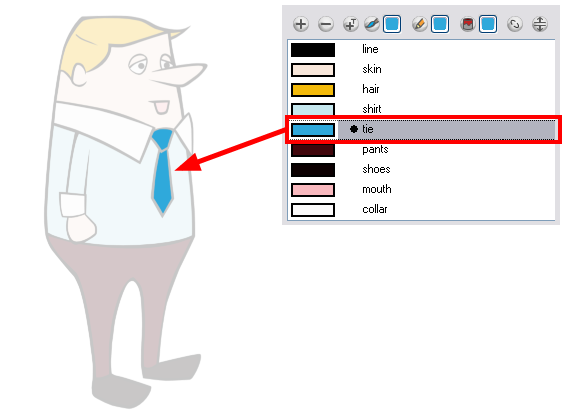 The Highlight Selected Colour option is used to identify colour pots used in a drawing. For example, if you have unnamed colours in your palette and you want to find out if a particular colour pot was used on the current model or drawing, you can select the colour pot and use the Highlight Selected Colour option. The system will wash out all the colours in the drawing except the selected one so that it stands out and can be identified. You can rename it accordingly. 1. In the Colour view, select the colour you want to highlight. 2. In the Drawing view or Camera view menu, select View > Show > Highlight Selected Colour.